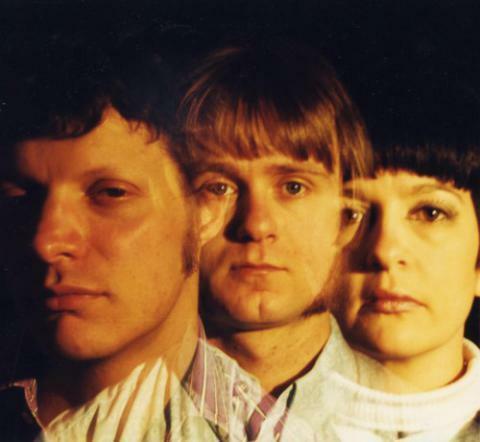 Formed at the tail end of 1996, The Embrooks (Alessandro Cozzi-Lepri—guitar, vocals; Mole—bass, vocals; Lois Tozer—drums) were initially influenced by the moody, minor key mid-’60s US garage common to the New England area, and made an LP (“Separations”, Dig The Fuzz 1999, reissued Dionysus 2000) and 2 singles (“But I Didn’t Know Him”, Dig The Fuzz 1998 and “The Embrooks” EP, Sympathy For The Record Industry, 1998) in that style. They quickly changed course towards the more aggressive sounds coming out of the UK and Europe in that same mid-’60s period, a transitional style which came to known as freakbeat. Here, the band found their true calling, and delivered 2 killer singles (“If You Let Me Go”, Max Picou and “More Than Ever”, Guerssen, both 1999) and their highest profile LP, “Our New Day” for legendary California label Bomp’s Voxx imprint (2000). Numerous tours through the UK and Europe were undertaken, and they even found time to cross the pond into the US and Canada on a number of occasions, and appearing at such legendary events as the Wild Weekend, Las Vegas Grind, Cavestomp, Purple Weekend and many more besides. The follow-up LP, “Yellow Glass Perspections” (Munster, 2004) saw the band incorporating more psychedelic elements to their sound, but still very much rooted in the aggressive Mod-Rock that had served them well. As external commitments became ever more time-consuming, the band amicably parted in mid-2005, but now they’re back!! Strong as ever, a little wider round the waist and greyer around the gills (the ‘Expanding Waistline Inevitable’ as a friend was kind enough to point out! ), but ready to knock your socks off with their brand new single, “Nightmare” b/w “Helen” (State Records THS—026).